Lord of Wolves is an Exotic special shotgun. The good: Quickest reload speed, large reserve, high range. The bad: Shot travel time, unique perk is subpar. Conclusion: Feels Exotic & more powerful than any shotgun. Kills with this weapon rally nearby allies with +3 recovery. Lasts 30 seconds. For the third and final installment of our Elder Cipher Exotic series, we’ll be reviewing the Lord of Wolves. Much like the weapons that preceded it, it’s a unique weapon that resists categorization, and you’ll have to adapt to its quirks if you want to have a chance of succeeding with it. With that said, each of the Fallen Exotics can be a force to be reckoned with when mastered, and moreover are just plain fun. 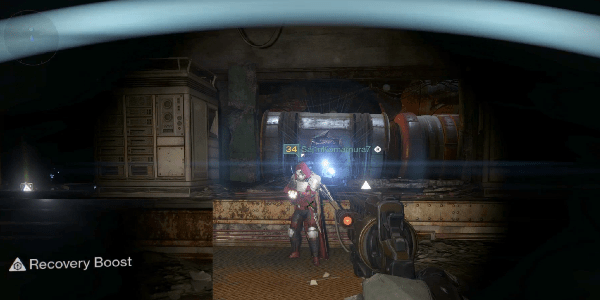 The Lord of Wolves is a Solar “Shotgun”, that fires in brief 5-round pulses. In this way, it is quite similar to Dreg’s Promise. Both are short-range Pulse Rifle hybrids that demand precise fire to really do any serious damage. Their burst damage can be lethal when poured on, but they require being mindful of the range at which you’re keeping enemies. Of course, the Lord of Wolves distinguishes itself from the pack by being better and worse equipped for certain scenarios. If you’ve read the Dreg’s Promise and Queenbreakers’ Bow reviews thus far, you’ll recall that stats alone are not wholly reliable for outlining what these Cipher weapons are capable of. The Lord of Wolves continues that trend. Rate of Fire, Impact, and Range are not comparable to other Shotguns due to the burst-fire, so don’t judge this book by its cover. Still, there’s a couple of standouts among the weeds. Its Impact of 64 is a telling statistic; the LoW packs a mean punch. You’re likely all wondering if it can hang with Felwinter’s Lie in this regard, and it can. With Linear Compensator it does 60 critical damage in PvP. The other two curious stats are Range & Reload Speed. While on the surface both appear to be downright pathetic, this is actually very misleading. The Range is naturally longer, basically having Rangefinder and Shot Package built in. Since LoW functions differently than most shotguns, its range can actually exceed every single one of them, but thr bullets do have a travel time. As for Reload Speed, the Lord of Wolves is the first Shotgun to reload its entire magazine in one pop. Even Regular Shotguns with an extremely high Reload Speed still have to chamber each round individually. This ends up making the LoW one of the fastest reloading Shotguns available; you can reload in 2.65 seconds even without the Speed Reload perk. Finally, the Lord of Wolves shares the great effective mag size and reserve ammunition that the other Cipher weapons have. It comes standard with 30 rounds in the magazine, which comes out to 6 bursts, matching the highest ammunition counts on Shotguns like Felwinter’s Lie or VoG’s Found Verdict. In PvE, you’ll get 128 reserve rounds at maximum ammo capacity, which equates to nearly 25 extra bursts in addition to the 6 in the mag. The Lord of Wolves has the standard Shotgun ballistic options, and they’re sufficient for what it can do. Smart Drift Control keeps your Stability up, but minimizes Range. Soft Ballistics is a bit of a happy medium for Range and Stability, but comes at the cost of Impact. If you’re daring, Linear Compensator makes for a harder-hitting weapon at a huge cost to stability. We recommend either Smart Drift Control or Soft Ballistics if you plan on taking Extended Mag or Speed Reload, and Linear Compensator if you opt for Perfect Balance. Generally, you want to keep your Stability high enough for each projectile to stay near the same height. Hip Fire is its first perk, and you’ll probably make use of it often (still, always ADS when you can). It will give you a tighter spread on your five projectiles when you pull the trigger without ADS. This can help you get kills when ambushed in PvP or just let you take down PvE foes within spitting distance while keeping your Radar up. Its selectable perks marginally improve one facet of LoW. 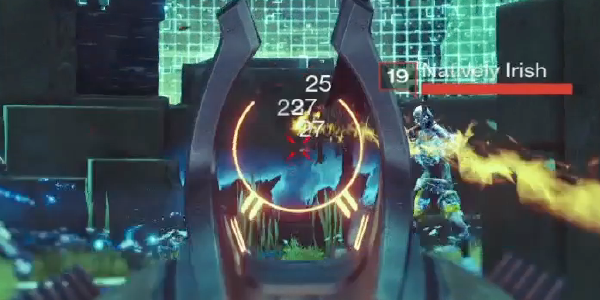 The first is Speed Reload, which puts the Lord of Wolves at the top of the Shotgun class for Reload Speed. The second is Extended Mag, which adds 9 more to the magazine, though it doesn’t improve your reserve ammo count like Field Scout. Finally, Perfect Balance greatly buffs your Stability, letting you have a greater effective range by reducing muzzle climb as each projectile leaves the gun – works perfectly with Linear Compensator. Devil’s Touch, the unique Exotic Perk, is pretty exciting at a glance. It adds +3 Recovery for any ally following a kill. It unfortunately only affects your allies. The base Stability of 12 is undeniably poor, but this can be easily remedied if stability is a priority for you. We recommend using Perfect Balance in PvP if you want to avoid the frustration. It will be extra tricky if you fire burst after burst. Hip Fire is okay, but remember that it will always preform better when ADS. Extended Mag and Perfect Balance are well-placed perks, but Speed Reload helps a stat that the Lord of Wolves doesn’t need much help with. As for “+3 Recovery” – getting your shields back up quickly is exactly what you want when you’re under any pattern of sustained fire, so why does Devil’s Touch not get our full support? Well, for one, it’s very PvE-oriented. Unless you’re rushing from encounter to encounter in PvP, you’ll have time to regenerate your shield following a kill, even without the buff. What’s more is that your teammates aren’t necessarily going to know to stack on you, and likely won’t experience the buff themselves very often because they’ll need to continue to stand very close to you. The “Recovery Boost” that allies get will be immediately deactivated if they go outside of your radius, and that radius is only slightly wider than the Ward of Dawn. In PvE encounters like the Prison of Elders, standing this close is doable in certain situations, but in any situation in which fireteam members are assigned different tasks, you might as well have no Exotic Perk at all. Shotguns in general do very well in PvE, so the Lord of Wolves has a strong foundation for making a case for itself. Beyond the inherent strengths of the weapon, the LoW does bear some special consideration. The main reason you’d want to choose this over a well-rolled Legendary Solar variant is its unbeatable ammo management. 6-8 in the mag, combined with the massive amounts of reserve ammunition and its excellent Reload Speed, will ensure that you can mow down hordes of close Range foes with little difficulty. A truly good Shotgun distinguishes itself in DPS with a high RoF and magazine capacity. If they’ve got range and accuracy, then that just means devastation can be delivered with more room for error. The Lord of Wolves has all these in spades. With its Impact and multitude of projectiles, chain-staggering foes is also an easily-accomplished delight. Still, even with this great upside, there are some damage issues. 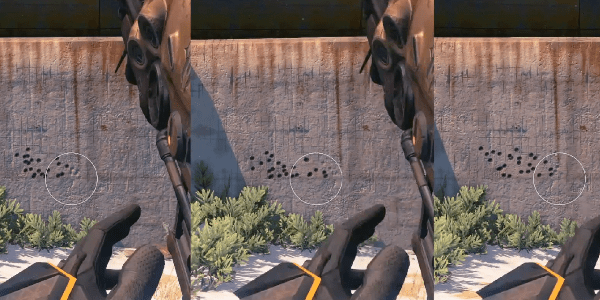 While most Shotguns spread their entire damage across a single blast, the LoW has to wait for each individual projectile to reach its target in order to scrape the same threshold. If just one of these misses, it’s already falling back in overall damage done. For mobile targets, this is a big concern. When you factor in the travel time of the slow-moving projectiles, you have a Shotgun that really can’t deal with any lateral movement. Axis Minotaurs, strafe-happy Fallen Captains, and lithe Dreg and Vandal Majors will all pose a problem if you can’t lock them down early with a good stagger. Even if you do manage to land all five projectiles, emptying an entire magazine into one enemy is still no easy task. A Full Auto Shotgun like Found Verdict shares none of these problems, and flat-out outperforms the LoW when it comes to downing a single high-priority target. With these limitations in mind, it stands to reason the Lord of Wolves is ideal for enemies that don’t require the full force of a Shotgun to deal with. There really isn’t another Shotgun that can match its minimal downtime in putting bullets downstream. Last but not least, it can also potentially land 3-5 consecutive critical hits with good aim, a benefit almost exclusive to Shot Package users; this will do wonders for its damage if you can replicate it consistently. It can kill with a single 5-round burst in a couple ways. As it does 48 damage per body hit, if all 5 land it is a guaranteed kill. An opponent who has been injured even slightly will die to 4 body hits, especially if they have a low armor build. It starts with a sizable amount of reserve ammunition as well, and refreshes about one magazine per Special ammo pick-up. The Range is both fantastic and frustrating. On a stationary target, assuming you yourself are also stationary, it has probably the highest one-shot/one-kill range of any Shotgun in Destiny, with a Shot Package Felwinter’s (or similar variant) being the only possible exception. 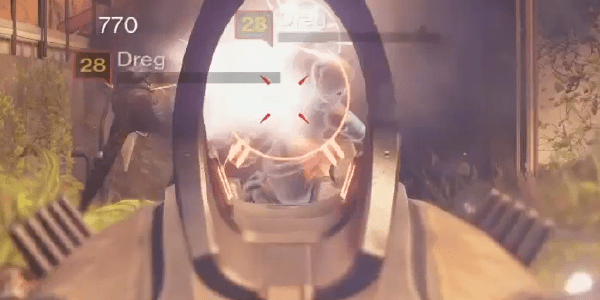 The damage doesn’t drop off until well after the distance at which you’d be using a Shotgun, so there’s no denying that the Lord of Wolves has the potential to make other Guardians rage in the Crucible. However, when you factor in any number of negatives that are inherent to the Crucible, such as your own lateral movement, aiming error, latency, & opponents dodging, this weapon could prove equally annoying to the player using it. All it takes is for one of your projectiles to miss to require a follow-up shot. It’s safe to say that this is going to happen quite frequently. In order to succeed with the LoW in the Crucible, you should learn to become adept at flanking to catch enemies off-guard, and baiting the other team into rushing you with their own Shotguns. If you manage to limit engagements in which movement is erratic and unpredictable, you’re going to love this gun. Other Guardians are going to quickly learn that they have to actively dodge if they want to beat you. Its strengths can be conducive to an aggressive or defensive plan of attack. If you opt to go in aggressively, try to practice stopping movement (or at least limiting it to forward/backward) in the instant that you pull the trigger. You’ll guarantee the tightest and most accurate spread from your ensuing burst. You’ll need to be conscious of “lining yourself up” with your targets, but if you can do this, you’ll be rewarded for your efforts with quick, clean kills. If you use it defensively, your job will a little easier. Simply backpedal until the other Guardian is forced to run directly at you. Just be careful that you don’t try this on primary users, who will be only too happy to oblige your death wish. Like the Queenbreakers’ Bow, the Lord of Wolves can be an easy weapon to dominate with in the Crucible, but it will take practice. You may have get worse before you get better, but once you do, you’ll be hard to touch. Lord of Wolves looks hot – which is to say that there’s actual flames coming out of the front! It’s got the same dark brown coloring, but with fang-like protrusions at the end of the muzzle, which give it a real Wolf flavor. It shares the stylish red LED accents of the Dreg’s Promise and Queenbreakers’ Bow, along with the insignia of the House of Devils right beside the reticle. 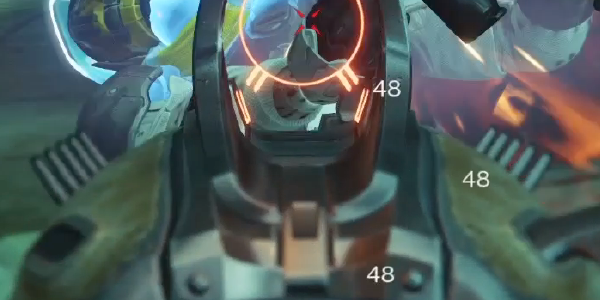 The ADS sights are not obstructive in the least, featuring an incomplete circle that frames your target nicely. The Lord of Wolves fits right in with the rest of the Cipher crew, presenting a package that is easy to love, but not so easy to master. With a large magazine, and healthy amounts of reserve ammunition to boot, times in which you aren’t pumping your enemies full of flaming shotgun pulses will be few and far between. The burst fire presents some accuracy issues, and the damage isn’t quite up to snuff with the upper echelons of Shotguns, but ultimately it feels Exotic in both power and design. In PvE, the Shotgun class has absurd base damage and that makes it viable in almost any instance, but you’ll have to be mindful of its strengths and its weaknesses. In PvP, you have a Shotgun that can outdo even Felwinter’s Lie, but only under the right conditions. In most cases, you’ll have to rely on a bit of luck and the element of surprise, and any enemy fire will preclude your getting the kill. Overall, the Lord of Wolves rounds off the Cipher Exotics as another above-average weapon that could be even better in the hands of an adept user. For PvP this weapon earns a 8.8/10 and for PvE a 8/10.